Maximize the storage capacity of your EMC VNXe series SAN. The EMC V3-VS07-010E is a 1TB NL-SAS 7,200 RPM hard drive. All EMC hard drives sold by SPS Pros are previously used, fully tested, and backed by a 60 day warranty against defects. Same day, expedited, and international shipping available! The V3-VS07-010E is also known as part numbers 005049407, 005049305, 005049494 and more listed below. This product shares part numbers with V3-VS07-010. 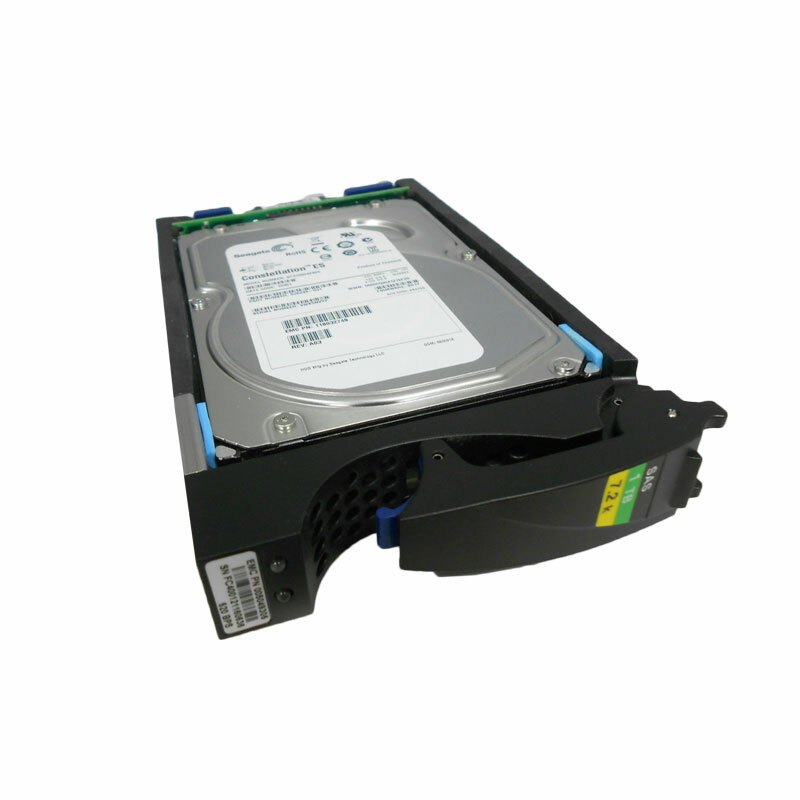 EMC NL-SAS HDD with part numbers V3-VS07-010E, 005049407, 005049305, 005049494 is best suited for higher-capacity environments to help realize cost and capacity benefits. Sequential access applications have a tendency to maximize any caching advantages of the storage system, and take advantage of the higher density NL-SAS hard disk drives. In these applications, the speed at which the drive can transfer data from the platter has the greatest effect on overall performance. Thus, medium-to-large block and sequential I/O applications can reap the greatest benefits from the drive’s higher area-bit densities.